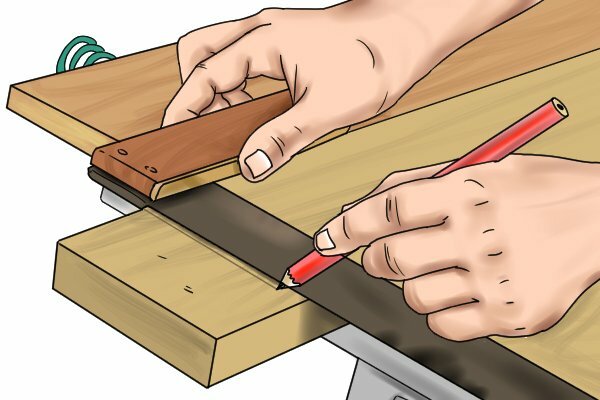 Although for most cuts, the primary aim is to keep the jigsaw blade straight, making a bevelled cut involves intentionally setting the blade at an angle. This is useful when you want to join two pieces of material together at 45 degrees to form a mitre joint. Bevelled cuts also enable you to create a decorative finish along the edge of your workpiece. 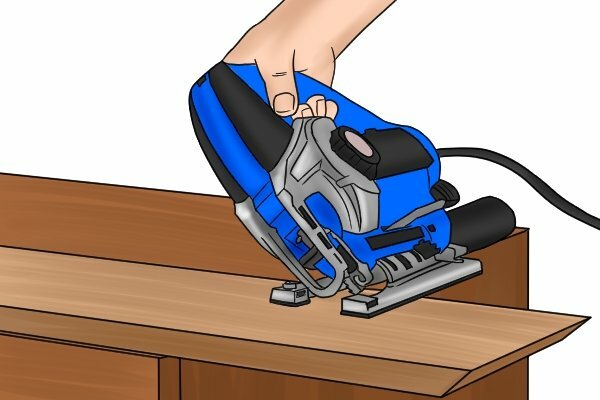 Before making a bevelled cut, you will need to pivot the shoe of your jigsaw and set it at the angle at which you want to make your cut. 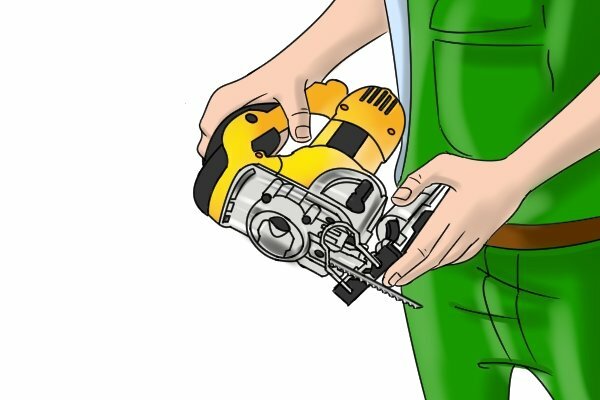 For more information see, How to adjust the shoe of a jigsaw. Draw on your workpiece the line you want to cut. Sit the front of the jigsaw shoe on the edge of the workpiece and align the blade with the cutting line. 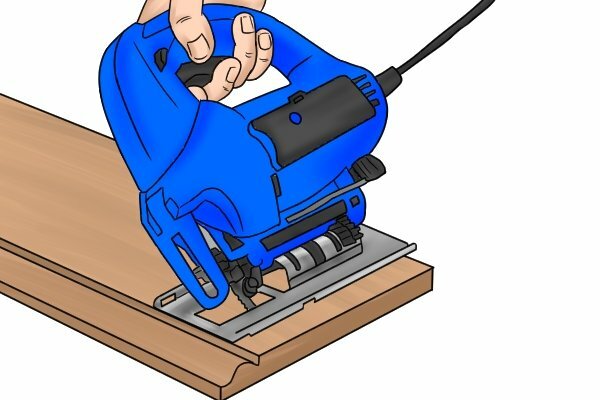 Turn on your jigsaw and gradually ease the blade into the workpiece. 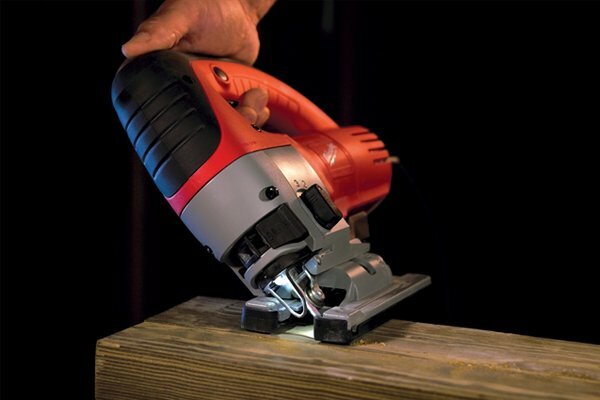 With bevelled cuts, you should move the jigsaw slowly and carefully to keep the blade on course. Continue until you reach the end of the cutting line.